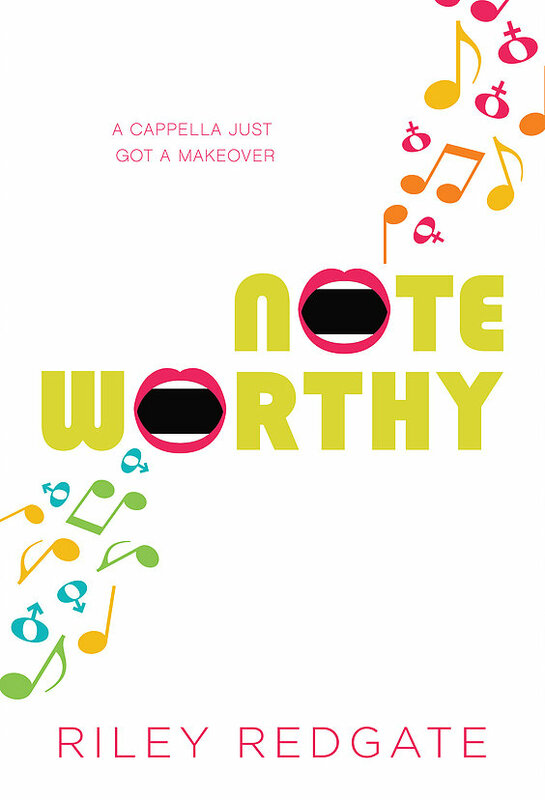 I was first attracted to Noteworthy for two reasons: 1) I heard somewhere that it was like a modern day Mulan retelling but with a cappella, and 2) the main character is a girl named Jordan. What I got out of Noteworthy was so much more than that. Jordan Sun, a Chinese-American scholarship student at Kensington-Blaine Boarding School, needs to prove to her parents (and to herself) that sending her across the country to attend a performing arts school is worth the money her family doesn’t have. The book begins at the start of her junior with her failing her audition yet again due to her low voice. Desperate for a solution, Jordan takes a risk when an email lands in her inbox about auditions for the elite, all-male a cappella group on campus. She pulls together her best guy outfit, dons a wig, and tries out for the Sharpshooters. Much to her surprise, she actually makes it in. With nothing to lose (since she doesn’t have any friends due to dedicating the past two years to her now graduated ex-boyfriend), Jordan goes all in by cutting her long hair and spending all of her time outside of class as “Julian” with the other seven Sharpshooters. I loved the relationships Jordan establishes with the other Sharpshooters. Each of the guys are well-developed, and the banter they share was so entertaining to read about. I loved how these guys who are very different from each other came together through music and a cappella. I loved how fun the book was and the humor with in it. I loved Jordan and the journey she goes on as she figures out who she is and proves her worth. I just really loved this book, okay?! Diversity is incorporated into Noteworthy seamlessly, as it should be. Life is full of different types of people and backgrounds, and I loved how diverse the cast of characters was and how they made the novel stronger. The focus of the book isn’t about being bi or Chinese-American or poor, it’s about finding yourself. I appreciated the work Riley Redgate put into addressing the context of cross-dressing within the book, phrases like “man-up,” and sexuality. Overall, I adored Noteworthy, and it is currently my favorite read of 2017. I highly recommend this one. Like, drop whatever you’re reading now and pick it up right away! I really want to read this one, and it’s such a shame that I failed to grab this one on NetGalley 🙂 seen so many good reviews! I keep reading great reviews for this book. It makes me think of Pitch Perfect when I read the blurb, and since that’e one of my favorite movies, I know I’m going to have to read this some day soon. Excellent review! You definitely need to read this book if you love Pitch Perfect! I’ve seen a lot of readers call it “Pitch Perfect meets She’s the Man,” which is perfect! Aw, I’m sorry you didn’t enjoy it as much as I did! It was definitely a novel that got me out of a reading rut. Hopefully you’ll like it more a second time around!